Starbucks may own coffee, but tea is still up for grabs. 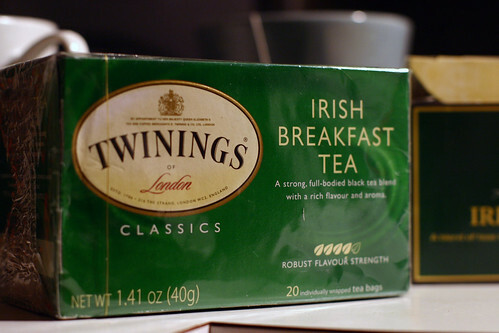 While in Europe tea time is a common occurrence, here in America tea is way behind to coffee. Why is that? Well it could be that Americans are all about "hurry up" and Europeans, while not lazy, know when to take a break. Hopefully a "tea craze" will catch on here and slow us down a bit. Helping this hopeful "tea craze" is the tea experience. Imagine a Starbucks experience on... caffeine. By having more smells, choices, history and accessories then coffee this experience will keep you in a tea induced zen state longer then your average jolt of caffeine. What are some signs that the tea industry is getting ready for an experience economy? I'll name two I've noticed here locally here in Dallas. One is Teavana (Pay no attention to the website, they're obviously not). We've had two Teavana's open up here is Dallas recently, at two very high-end malls: The Galleria, and North Park. Teavana will provide the freshest, highest quality teas. We aim to create the best tea experience in our stores and for our guests in their homes while producing a positive envrionment and experience for all who come in contact with Teavana. Checking out the store this past weekend at North Park, there was a steady stream of people buying drinks. The experience of tea is much different then coffee, there is so much more to sample, look at, touch, and smell. Tea also has a bit of a mystique about it - with healing powers and a mixture (or "fusion" as they like to call it) of different tea leaves from all over the world and from plants we've never seen. 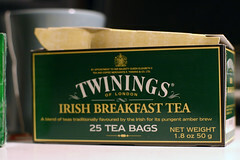 They also seem to now include less tea, at the same price (boo). The Twinings website has some good information to help you experience tea, such as "How to Make the Perfect Cup of Tea", "A Tea for Every Occasion" and "Design your own Tea" (another Web 2.0 trend...). Companies used to focus on making new, better, or cheaper products and services--and then selling them in the marketplace. Now, the game is to create wonderful and emotional experiences for consumers around whatever is being sold. Itâ€™s the experience that counts, not the product. While that business model has long been the preserve of cult-like brands such as Starbucks and Apple, itâ€™s fast becoming the norm in all industries. The goal: to build communities of passionate and loyal consumers. It looks like the tea industry is starting to take notice.